With the traditional transportation infrastructure in most countries becoming woefully inadequate in the face of rapid urbanization, SpaceX CEO and celebrated tech entrepreneur, Elon Musk, is investing heavily in a high-speed, pollution-free, solar power-driven transport system called ‘Hyperloop’ that, when implemented, in expected to fix many of the problems faced by conventional modes of transport. One of the many cities that is in negotiations to bring Hyperloop to their backyard is Cupertino, California, which is best-known for housing the headquarters of tech giant Apple. One of the Councillors of the city, Barry Chang, confirmed as much to the media earlier this week, saying, “We are talking to hyperloop to have a line, hopefully, along Stevens Creek from Diridon Station to DeAnza College”. 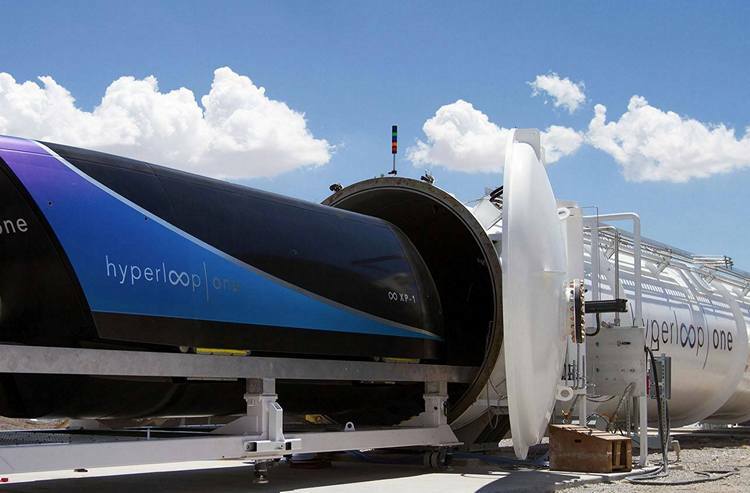 In a mail to Business Insider, Cupertino’s mayor, Darcy Paul, also admitted that the city is in negotiation with Hyperloop Transportation Technologies for a Hyperloop line, but said that the talks are “in a very early discussion phase”. According to him, the city is still looking at what its best options are for a cost-effective, environment-friendly, mass-transportation solution. What’s really interesting here is a report from Silicon Valley Business Journal that says Darcy and his fellow Councillors are actually hoping that Apple will agree to get into a partnership with Cupertino to bring the Hyperloop project to the city. That way, Apple – and its employees – will get all the benefits of the futuristic transportation system, and the city can save on some costs that might otherwise prove too much for the city to bear. To keep Apple happy with the city and its leaders, the Council recently even voted down a proposed tax that would have raised the company’s yearly local tax bill from a mere $17,000 to as much as $9.4 million. It will be interesting to see if the gamble pays off, but if it does, Cupertino might become one of the first cities in the world to have the ultra-modern transportation system, which would certainly be something to look forward to for the city’s residents.